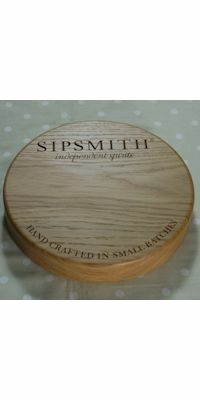 These solid wooden door stops measure 13.5×13.5x25cm and weigh approximately 3.5 kgs. 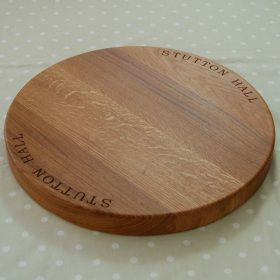 They are made from kiln-dried prime European oak constructed of 3 pieces jointed and glued together. 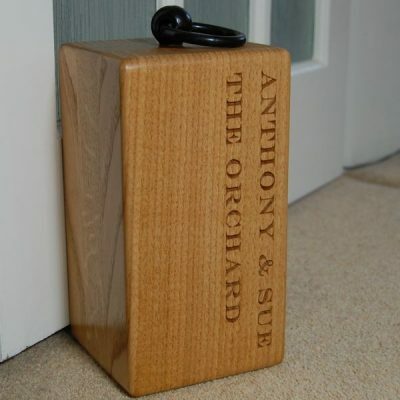 Unlike similar products available that are made from green oak, these wooden doorstops are extremely stable and much less susceptible to cracking or splitting. Each wooden oak door stop is fitted with a handle hand-forged (in the UK) from wrought iron, which has a black painted coating. 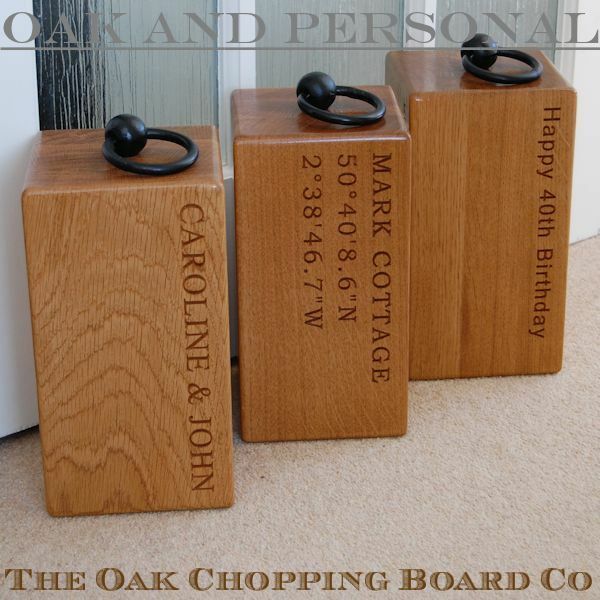 We have two different styles of wooden door stop – standard and Navigator – and both make excellent gifts for various occasions. 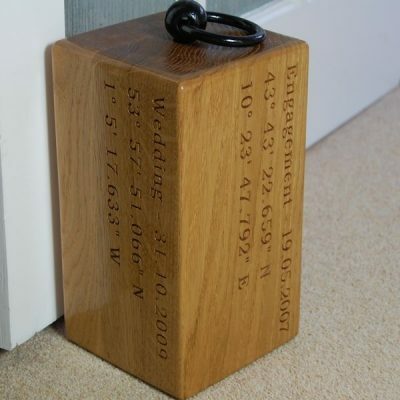 The wooden door stops can be engraved on up to 4 sides with the names of special people, dates, places and, for something different, why not add the latitude and longitude of a special place or a special person who is too far away, this last option being a feature of the Navigator door stop?